If you are a CIO, angel investing can be a fun hobby. Based on your insight, experience and high level corporate view point, you could make some great investments. What is the biggest challenge for entrepreneurs launching new startups? It’s not money or access to clients. It’s coming up with the next big idea worth spending few years of life on. The best ideas emerge from the biggest pains for consumers or businesses. Investors constantly tell startup founders, “Listen to your customers”, but arranging a meaningful conversation with real customers is a challenge. If you plan to solve billion-dollar problems for large international corporations, who do you talk to? How do you find the real problem areas? An entrepreneurs that meets a CEO in the elevator at a conference most likely gets the standard answer: “We are fine, thank you.” to any question about business problems. Startup founders have to talk to a lot of people and ask a lot of questions to find the ‘Aha’ insight needed to turn an idea into a new business solution with a billion-dollar value. Or they can find someone whose desk is filled with those insights and requests for IT solutions - CIOs. In some cases CIOs don’t even realize the value of knowledge they possess. All those complaints coming from business units and department heads about lost data, broken business processes, leaked security, excessive overhead expenses and lack of automation are all hidden treasure. The latest technological capabilities need to meet real unsatisfied use cases to turn into big business solutions. CIOs have an inside track to these cases every day. The gap between requirements and capabilities is a challenge for most business owners because they lack technical expertise. For startup founders the challenge is lack of access to the latest business requirements. These two groups speak a different language, and have a hard time understanding each other. When I was selling CRM systems to banks, I saw the VP of sales at a large bank freak out when he saw “warehouse inventory” as a column title in a database instead of “assets.” When an engineer explained that this was “technically the same thing” it resulted in a shitstorm from the VP. Renaming the columns and changing the language to reflect banking specifics allowed us to add two zeroes to the price tag of a solution because it became “banking-friendly”. But it also required a lot of patience from the CIO of that bank, who helped introduce the right naming sequence. The insights that CIOs have about future unresolved problems could help them make very smart longer-term bets on problems that could be solved in the near future, without risking any of the corporate assets. Extensive expertise in business and technology gaps make CIOs the most valuable early stage advisor for, and a small amount of investment can secure influence on the board of advisors for some of the hottest tech startups. CIOs don’t have to invest lots of money to make great returns. Partnering with VC firms. CIO-investors can get leverage at 1:10 or even 1:100, where larger firms invest more money only after following insights from a qualified market expert (like a CIO). CIOs may complain about how stupid and inefficient the market is, but not many actually bother delivering the message directly to where it can be solved - the startup community. Going to startup events, talking to founders and sharing your opinion about opportunities and inefficiencies is a great way to gain a good reputation in the startup community. More and more people will start coming back for advice, offering a unique investment opportunity every time. Everybody will want to take you out for lunch, ask for your advice and bring you into the decision-making process if you spread visionary influence around about latest technologies and trends. Once the trend takes hold in media outlets like TechCrunch or WIRED, it becomes public domain and everybody is talking about it. But 6 months before, that trend could only be seen on startup demo days, pitch sessions and in acceleration programs. Accessing these early trends provides unique insights even if you decide to skip on the investment opportunity. More than half of the top 100 global corporations don’t last more than 15-20 years. They don’t live to see the next decade because they fail to envision the future and innovate fast enough to adapt to the changing world. Everybody on the executive team wants to see what’s coming. Making smart investments is the best proof of this. You can make 20 investments of a few thousand dollars each, but only show off the successful ones. This will make other executives listen up and value you more. Angel investing is a tough business. The success ratio is very low: only 1 out of 10 investments provides substantial returns for experienced investors. For newbies this ratio could be 1:20 or even lower. This requires a lot of patience and analytical work. The good news is that CIOs don’t have to do this alone. Like all other angel investors, they can join a collective and share expertise and risks with other investors. 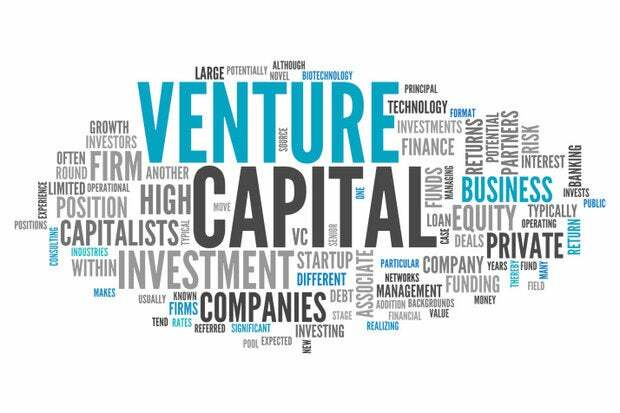 VC firms and angel investor groups always welcome experienced business professionals with insights in addition to capital. Pavel Cherkashin serves as director at GVA Capital, an early-stage VC firm, helping great startups successfully go global.